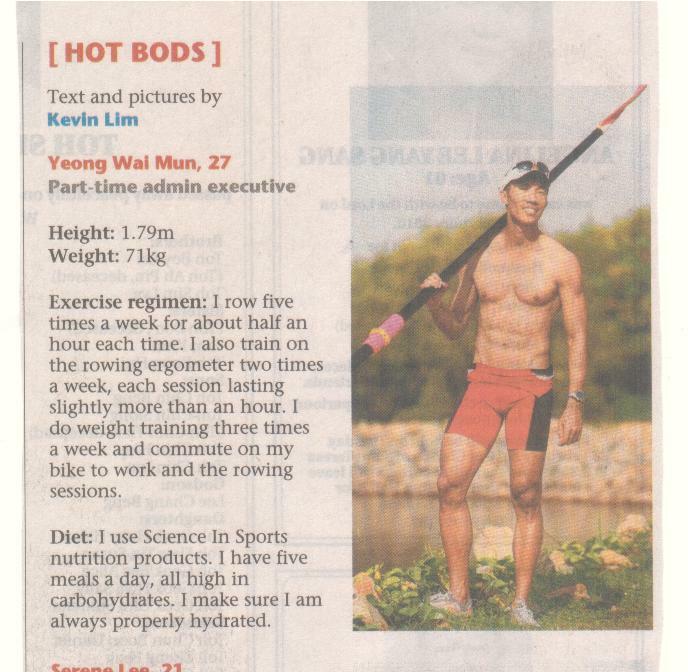 The recent SRA NATIONAL STAGING TEST held at the Singapore Rowing Centre saw a new National Record set on the Ergometer. Click to find out who is the man responsible for this headline. Marina Reservoir, Sunday, 13 June, 2010 — Singapore’s rowers did the nation proud by garnering a gold medal and a bronze medal in the Men’s Single Sculls and the Women’s Single Sculls respectively at the Asian Cup Rowing Championships. 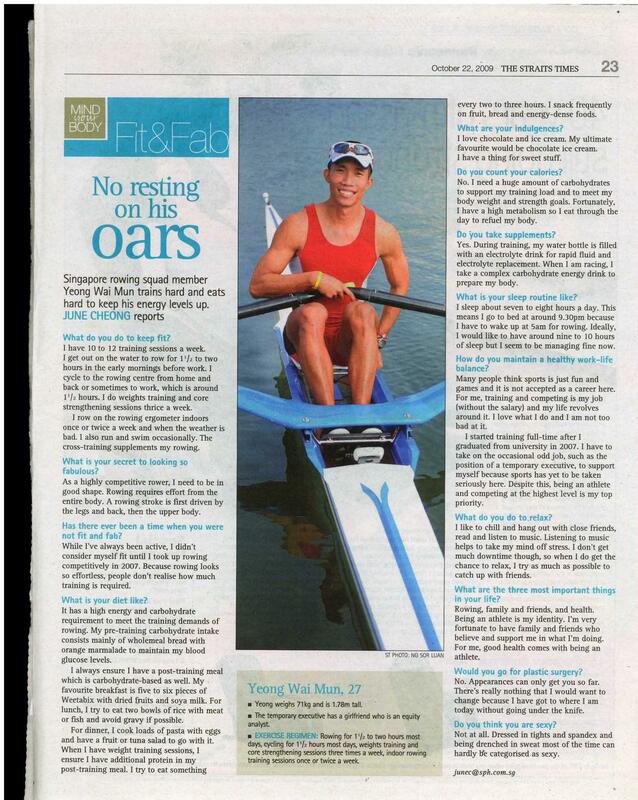 Yeong Wai Mun is a Singaporean who took the uncommon step after graduating from the Nanyang Technological University of pursuing his Olympic rowing dream full-time. He funded his own training overseas and then took a shot at Olympic qualification in Shanghai. Here is his story in his own words. From August 22nd to 25th 2008, Singapore will host the Asian Cup Rowing Championship at Pandan Reservoir. Featuring more than 100 participants from 10 countries, Singapore fans will get a chance to see local rowers Yeong Wai Mun, Sayidah Aisyah and Elsie Lim in action. From the road, it’s easy to miss Pandan Reservoir, an elevated reservoir situated in the midst of an industrial hub in the west. Off Jalan Buroh, hidden from human view, sits the clubhouse of the Singapore Amateur Rowing Association.